April 11, 2019 at 12:08 am. 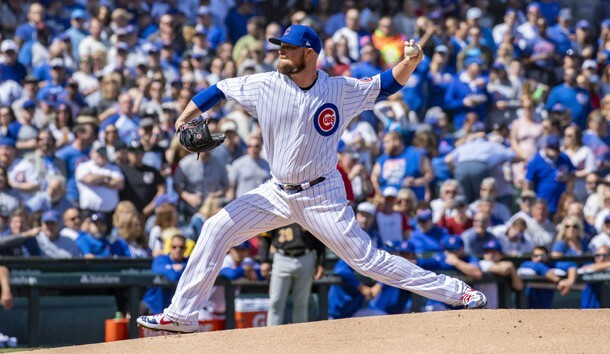 The Chicago Cubs placed ace Jon Lester on the 10-day injured list Wednesday because of a hamstring strain. Lester is eligible to be activated April 19, in which case he would miss just one start, although manager Joe Maddon said Wednesday that he won’t put a timetable on it. Chicago recalled left-handed reliever Tim Collins from Triple-A Iowa. 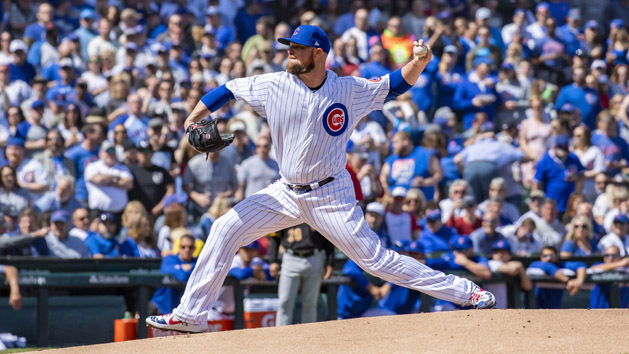 The Cubs will start Tyler Chatwood on Sunday against the visiting Los Angeles Angels in what would have been Lester’s turn. The left-handed Lester got hurt while running the bases during the Cubs’ six-run second inning in Monday’s home opener against the Pittsburgh Pirates. He doubled home a run and later scored from second base on a single by Ben Zobrist. Lester, 35, attempted to come out and pitch in the third inning but was removed from the game due to discomfort. Chicago went on to win, 10-0. Lester is 1-0 with a 2.57 ERA in three starts this season. The five-time All-Star is 178-98 with a 3.49 ERA in 14 major league seasons.